BuzzFeed News spoke to Kenyans who were too young to vote in the controversial 2007 elections, but who still remember the violence that followed. A demonstrator protests after the contested Kenyan presidential elections in 2007. NAIROBI — More than 19.6 million Kenyans will head to the polls on Aug. 8 to vote for their country’s new leader. Next week’s general elections also marks 10 years since a controversial presidential race marred by ethnic group tensions and highly disputed vote-tallying led to more than 1,000 people being killed and more than 500,000 being displaced in post-election violence. The incident resonates deeply for Kenyans who were too young to vote in the infamous 2007 elections, but old enough to have vivid memories of the bloodshed that followed. 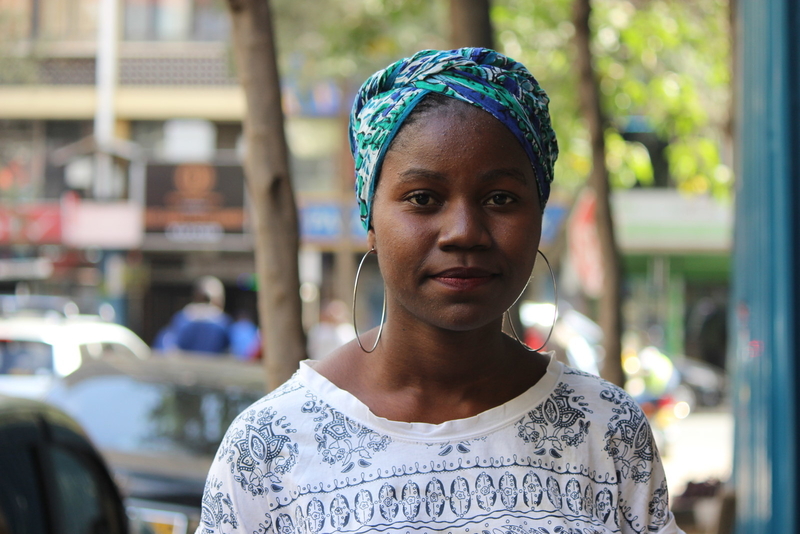 BuzzFeed News talked to some of those young Kenyans about what they remember of the post-election violence, and how those experiences have shaped their views about politics now that they're of voting age. The people interviewed belong to a variety of ethnic groups. While they grew up outside of Nairobi, they all currently live in the capital. Grayson Marwa remembers politicians visiting his house to bribe his parents with money for their votes. Grayson Marwa had just completed primary school when the 2007 elections rolled around. As a 13-year-old, he remembers politicians coming through his town in Migori County to visit — and bribe — families for their votes. 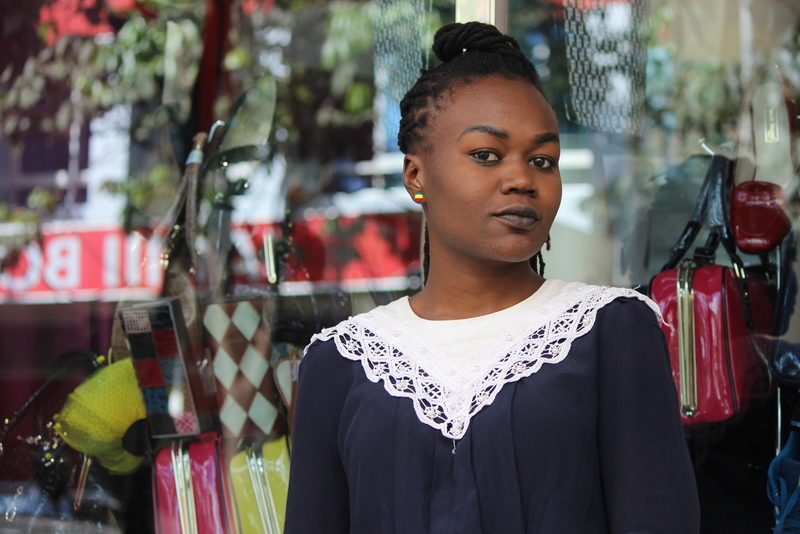 Marwa, now 23, did not recall the elections turning violent until after incumbent runner Mwai Kibaki was named president. The announcement dealt a serious blow to supporters of Raila Odinga, Kibaki’s biggest opponent in the 2007 race. “People felt that their man had been denied a chance to lead, so they had to fight to give him that chance,” Marwa said. He and his family essentially went under house arrest as police and rioters lobbed tear gas canisters back and forth at one another in the streets. Marwa admitted that as a kid, there was a strange element of excitement seeing his parents staying home with him and allowing him to watch TV all day, but as the violence carried on, the images became haunting. “I saw people being burned, murdered. It was traumatizing. I didn’t want to watch TV anymore, and eventually they stopped showing it altogether,” he said. His life regained a semblance of normalcy in the middle of March, when he eventually returned to school. He told BuzzFeed News that the turmoil following the 2007 elections inspired him to become that much more involved in politics. He proudly cast his first vote in the 2013 elections, joined student government groups in high school and university, and currently works for the Independent Electoral and Boundaries Commission, the organization tasked with ensuring fair elections. Sisters Sharon Liboi and Beverline Ashioya lost a lot of faith in Kenyan politicians after what they witnessed in 2007. Sisters Sharon Liboi and Beverline Ashioya both left their hometown of Kariobangi North after the 2007 elections. They said there was plenty of evidence leading up to voting day that things would get tense. Ashioya, who had just finished her school exams at the time, went to stay with her cousins in Buruburu, far removed from the epicenter of the violence, after the elections. The 23-year-old fashion design student said that, thankfully, chaos did not touch the town, and that life carried on relatively normally. Liboi and her brother went to stay with their aunt and uncle, who lived on a compound near a prison (her uncle was a police officer). She can’t recall how many days they stayed with their relatives, but she knows the duration was longer than expected. “I remember my younger brother asking my aunt where he would go to school, and my aunt telling him that she would enroll him at a school near the prison instead of our home,” she said. Although Liboi and Ashioya experienced the post-election violence from a distance, they heard gruesome stories from their parents, who by then were separated and living in different parts of the country. “Our mom lives in Huruma, a place that is drawn to violence, elections or not,” Liboi said. Former president Kibaki belongs to the Kikuyu tribe. Odinga, his 2007 opponent and a current presidential candidate, is Luo. Odinga’s loss set off widespread protests and rioting from the Luo and supporters from other tribes, while the Kikuyu and other Kibaki backers retaliated with more violence. Liboi and Ashioya’s father stayed in Kariobangi throughout the elections, and told them about random attacks from Kikuyu gangs, who would station themselves along the road, waiting for matatus — vans that function as informal buses — so they could pull them over. They would allow the Kikuyu to go, but would kill everyone else. Liboi said that to this day in Kariobangi, some Luo do not pay their rent to Kikuyu landlords. “And the Kikuyus won’t come for it because if they do, they’ll get ‘dealt with,’” she said. They both said the corruption within Kenyan government robbed them of their hope for fair and peaceful elections. Liboi is registered to vote, but does not plan to cast a ballot out of concern for her safety. “The thing that convinced me not to vote was the thought of insecurity again. There’s going to be violence,” she said. Ashioya, who is also registered but is unsure if she will actually vote, said that she is waiting on a candidate who wasn’t involved in what happened in 2007. Aloys Lavern Otieno remembers being picked up from school by his father's bodyguards and taken to a safer city after the 2007 elections results came out. Aloys Lavern Otieno — who is Luo like Odinga — remembered a widespread sense of optimism leading up to the 2007 elections in his hometown of Thika. “What I remember most was following the elections being glued to the TV screen,” the 21-year-old told BuzzFeed News from the courtyard of Daystar University, where he’s a student. Otieno’s father worked for the government at the time, and immediately became concerned for his family’s safety. “The craziest memory I have is being picked up from school by my dad’s aides one day,” he said. Otieno told BuzzFeed News that while Thika was an ethnically diverse area, it still had a Kikuyu majority. Despite the fact that his family had lived there for 16 years, they did not return, even to visit, until this year. Otieno acknowledged that even though he had the means to relocate to a safer area, he was still scarred by the memories. “[I] only saw the violence on TV, but it was still scary at that age to imagine that guys were actually being hacked because they were of a different tribe,” he said. Banice Mburu lost a friend during the 2007 PEV. His body has yet to be recovered. The first indication Banice Mburu had that the 2007 elections could be dangerous was when she saw a group of men attack an Odinga supporter at a bus stop a few weeks ahead of the vote in her hometown of Nakuru. “The man was wearing orange [the primary color of Odinga’s party] and waving banners, but he was completely alone,” Mburu, now 23, told BuzzFeed News. She said that the incident spurred a mass exodus of the non-Kikuyu after they saw what happened to a man who supported the opposition. So she was pleasantly surprised to learn that her school in Solai (about 35 kilometers from Nakuru) was still open in early January 2008, a few days after Kibaki had been declared president. But that sense of optimism and safety was short-lived. After a few weeks, Mburu’s school shut down and did not reopen until two months later in March. Meanwhile, violence intensified in Nakuru. She said that the number of corpses became so high that people resorted to burying them in mass graves, or simply dumping the bodies into a valley near town. Despite all that she saw and experienced, Mburu remains positive about the upcoming elections. “Now I’m very hopeful; I think Kenyans are growing. They haven’t all gotten there, but I think there’s a different narrative than 2007,” she said, pointing to the fact that people her age are less likely to vote along strictly ethnic lines, as their parents have done. She also criticized politicians who rely on divisions to get votes, and said that the more educated Kenyans are about history and the civic process, the less likely violence will be. “Politicians prevail when they divide and rule. It’s basically like colonialism. They had to divide us in order to continue being the leaders or the lords,” she said. Muthoni Njoki recalled hearing what she thought were fireworks the night of the 2007 elections. She later realized they had been gunshots. Muthoni Njoki’s mother was always heavily involved in the political sphere as a civil servant. Having helped transfer votes from the polling station in their hometown of Narok during the 2002 elections, Njoki, now 24, remembered feeling surprised to know that her mother had decided not to do the same work during the 2007 elections. “She said it was because she wanted to spend more time with her family on election day, but we didn’t believe her,” Njoki told BuzzFeed News at a coffee shop in July. Njoki’s mother is Kikuyu, and her father is Maasai. (Her mother raised her and her sister as a single parent.) Even though the tension between the two tribes increased leading up to the elections 10 years ago, she remained largely unconcerned about the violence. But then her mother told her they would not go to church the Sunday after elections, a tradition they’d always had. Njoki said that she, her sister, and her mother went to sleep that night thinking everything was fine. The next day, her mother, a veterinary surgeon, went into town. Within minutes, she called Njoki’s older sister and ordered her to pack up their belongings. She was taking them out of Narok. On their way out, she saw tires burning on the roadside, and discovered that one of the large supermarkets in town had been completely burned to the ground. As they passed crowds of people setting up tents outside of the hospital and police wielding guns among the chaos, her mother told her not to roll down the car windows. “I was wondering, Is this the end of us in Narok? Do I need to change my name to a Maasai name in order to fit in? Would I keep on going to school? And those are not things that a 14-year-old should be worrying about,” she said. The family resettled for two weeks in the town of Kikuyu, where her mother had some land. Schools had been closed, so they spent most of their time watching the violence play out on TV. “On one hand, I was thankful to come out unscathed. On the other hand: How could you go from living beside someone to hating them?” Njoki said. Two weeks later, Njoki enrolled at a school in Kiambu. 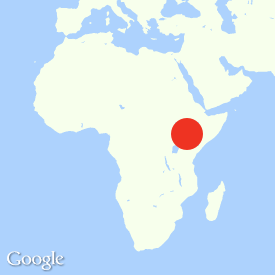 She did not return to Narok until April 2008. Now, Njoki is a mother to a 3-year-old girl, and works in marketing while her mother takes care of her daughter. She told BuzzFeed News that motherhood played a significant role in her increased involvement in politics. But Njoki and her mother are still prepared for the worst in Narok.